DIY Easter baskets make for a special, memorable spring holiday. No more cheap, disposable junk! These ideas are the cutest! When I had one child, the annual Easter basket was pretty simple — until a few years passed and I suddenly had all these random baskets floating around that had absolutely no use beyond springtime. By the time we had three kids, we needed an Easter basket intervention. I hated the idea of spending lots of money on baskets that were just going to be shoved in a closet or worse, thrown away. It had to be something reusable. I love baskets and use them all over my house. But didn’t want anymore of those cheap plastic things to crowd my closets. 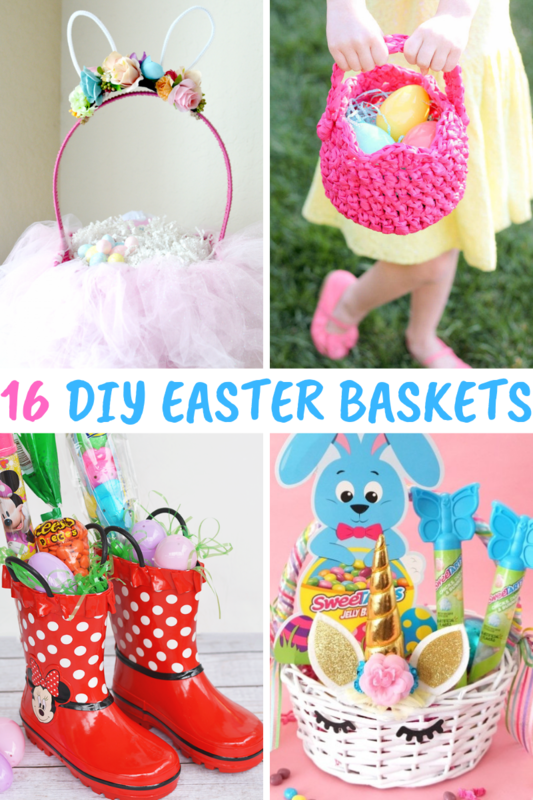 I looked for baskets that would fit on a shelf and store toys or homemade hair bows for my girls! We have stuffed Easter treats inside new rain boots in past years and it was a big hit! The nice thing about this idea is that my girls need new rain boots as their feet grown. So new boots have become a fun tradition. I love to crochet and make lots of things for my kids. 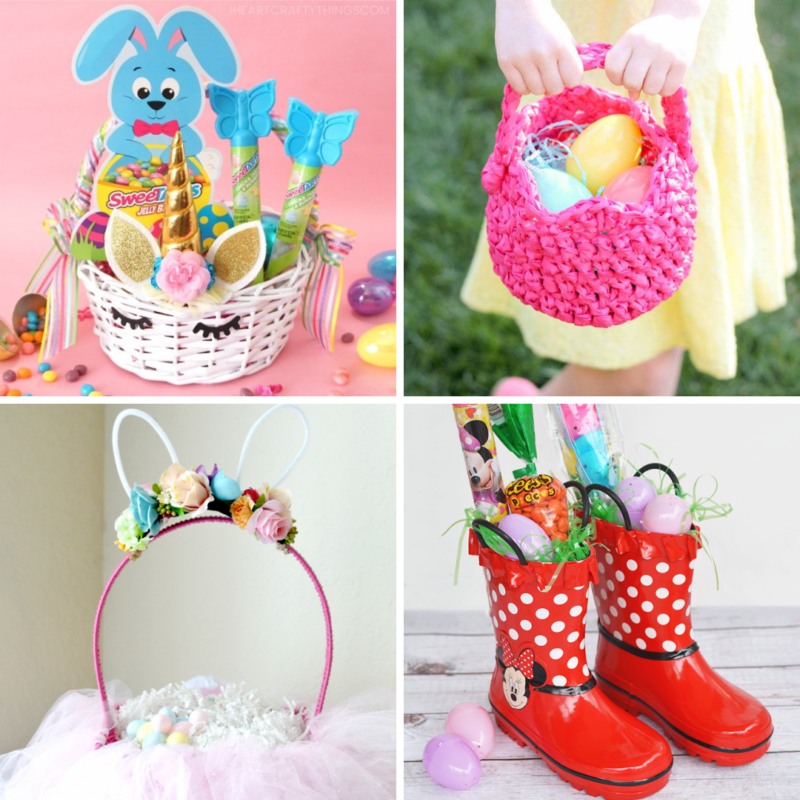 I love the crocheted Easter basket in this list!! It will make an adorable clutch for them to play dress up after Easter. This year, our Easter Bunny is filling umbrellas! Our family of 5 is too big for one umbrella and my girls are big enough to hold their own! What other unique DIY Easter Basket Ideas have you seen? Have you done anything unique for your kids? Leave your ideas in the comments!